Remedywear's specialty eczema clothes for toddlers and children prevent scratching and fit like a soothing second skin. The soft, soothing fabric features TENCEL and embedded zinc and was specially designed to reduce inflammation and speed up the healing process, so treating toddler eczema or big kids itchy skin is now easier than ever. The long sleeve shirt is ultra-soft, breathable, and exceptionally stretchy providing total scratch protection and soothing relief for the arms, chest, and back. Who knew eczema clothes for toddlers could be so functional and comfy? Wear the form-fitting design alone to sleep or under regular clothes throughout the day. Effective and super comfortable when worn dry over emollients. 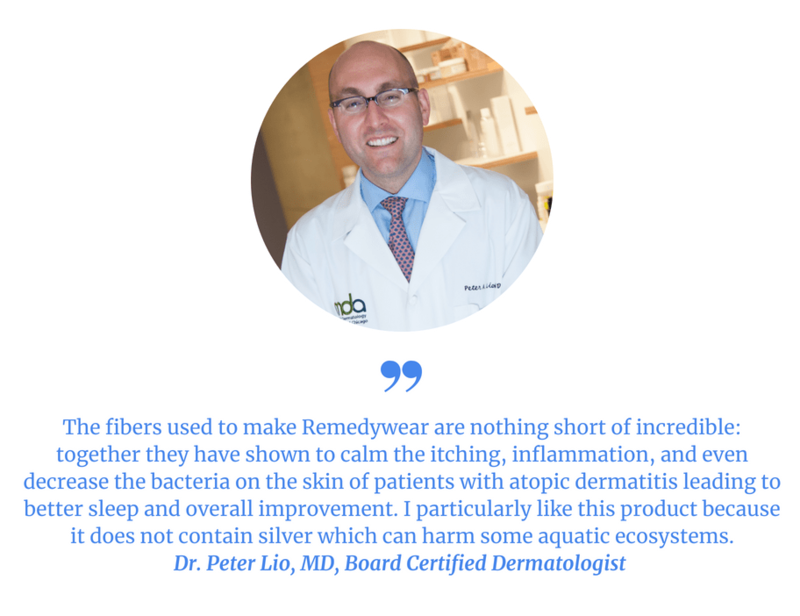 The Remedywear long sleeve shirts are a must have in treating toddler eczema and up to age 14. Check out the coordinating Remedywear kids pants. Our garments offer 35-50+ UV protection! Wear Remedywear to cover your fragile eczema skin when out in the sun and avoid harsh sunblocks that can cause further irritation. Remember to always wear sunscreen to protect any parts of the body not covered by our clothing. Our soft, gentle clothing is not meant for play and should not replace surf/swim clothing meant for more aggressive use. 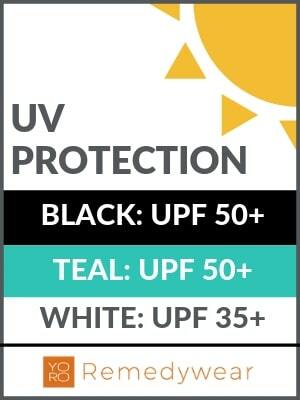 Check the chart below to verify the UV protection offered by the various colors when worn wet vs dry.